This article is a guest post from the founders of Agile Human – a wellbeing specialist that helps individuals and organisations to become more productive, positive and energised. How many of us started last year with some New Year resolutions? Admit it. You’re one of them. And we’re going to bet that some of your resolutions were big, bold and juicy. Perhaps one had the potential to be truly life changing! Everyone knows that person who was going to run a marathon in two months’ time and had only just started training after Christmas. Or the person who’d set their heart on losing 10kgs by Easter via some ill-conceived fad diet. Or even the person who made a pledge for dry January, forgetting that it was their best friend’s 40th birthday party on the 15th. You see, most people start each year with good intent and a ton of enthusiasm. And that’s a really positive thing to do. Yet after a short time we start to see that these new goals are going to be quite challenging. It dawns on us that we’ve expected too much, too soon. Our timelines are simply unrealistic. 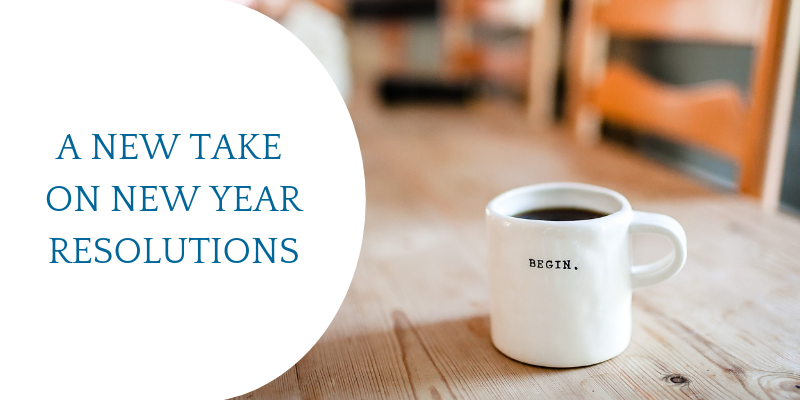 All too often our New Year’s resolutions set us up for failure. So this year we’re challenging the traditional New Year resolution! At Agile Human, we believe there’s a better way. Having realistic goals in life and at work is really important. They give us ambition, they give us drive and they give us something to aim for. But transformation is a journey – and it takes time. Often longer than we’d like. We’ve all heard the ancient Chinese proverb: a journey of a thousand miles begins with a single step. It’s a cliché because it so neatly surmises the truth: if you want to achieve big change, you need to focus on the small steps required to take you to your destination. To put it another way: real progress is made step-by-step, rather than by taking giant leaps. So for us at Agile Human, the best way to achieve any goal you might set yourself is through incremental change. You map out the small steps and changes you know will get you there. You set your boundaries and expectations. And you finalise a timeline. It’s all about taking that first step. Then the next one. Again and again and again. Over time the goal you’ve set yourself, even if it seems far away from you initially, becomes achievable. It just takes some patience and some self-belief. You massively increase your probability of success. You reduce the pressure you’ll put on yourself when you hit a bump in the road or feel you’re failing. You avoid the anxiety that’s born from the frustration of not moving towards your goals. You gain the ability to shape-shift based on your progress: pausing, reflecting and adjusting your journey to suit your lifestyle and abilities. You keep yourself energised – rather than disenchanted – through realistic expectation-setting. So join us this year in a new approach. Embrace incremental change and be successful in achieving your goals in life, at work and in your own wellbeing. Keep track of your progress and be kind to yourself. You’ll be amazed at what you can achieve!